I’ve made it to the end of another year blogging and I’m still loving it just as much as I’ve always done, in fact I think I love it a little bit more each day. I’ve been looking back at my top ten blog posts from 2017, not including any reviews, sponsored or giveaway posts. Here are the most viewed posts in 2017. 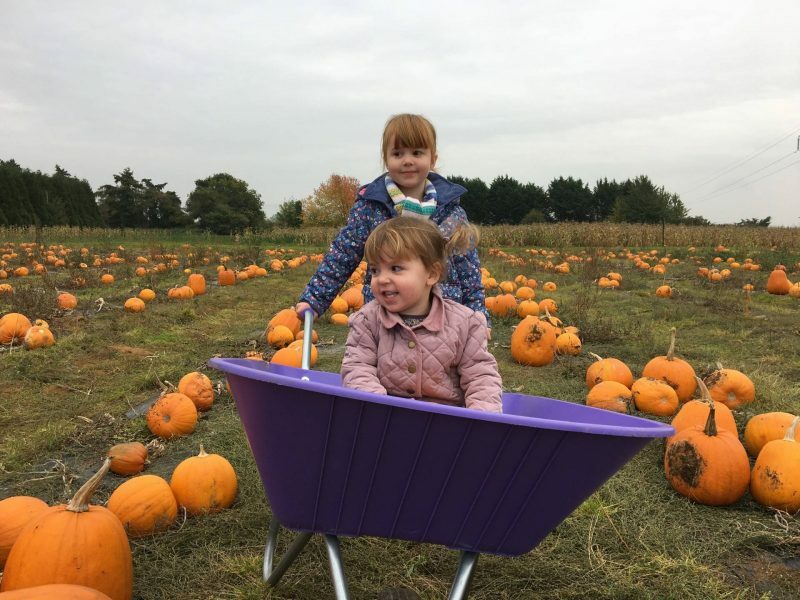 At number 10 is a post all about one of our favourite things to do each year, which is, Pumpkin Picking At Millets Farm. This post I wrote in October 2016, when the girls and I went with my mum in half term. It was a lovely day and I got some of my favourite photos of the girls that day. Millets Farm is one of our favourite places anyway and the pumpkin picking is great fun. Last time Andy came with us too and it was another brilliant day, even if we did struggle to find a decent pumpkin. We must make sure we go earlier this year. I love writing my Ordinary Moments posts each week, capturing a moment in time. This post I wrote, The Power Of Blogging…The Ordinary Moments, was a result of me publishing my first post about post natal depression. The reaction I got from that post, the amount of people that contacted me and everyone that said it helped was pretty overwhelming. It amazed me what power blogging has and this has only gone on more and more over the last year. Every blogger who has ever shared a personal story, will never truly know the effect it can have on so many other people. I’m pleasantly surprised to see this post, I’m Broken…The Ordinary Moments, make the top ten. I wrote this post one Saturday night, when I was exhausted from a particular bad week with the girls. Holly was being a nightmare at bedtime and Alice was going through a difficult phase. Reading this back now, just shows that it was a phase and one that at the time was all consuming. But one that I had gone to forget about. I joined up with some of my favourite bloggers to share the top places to visit where we lived. I shared with you all my, Top Places To Visit In The South For Kids, and it doesn’t surprise me that this has made the top ten because as parents we’re always looking for new places to visit. I loved collaborating with other bloggers on this and it’s another great part of blogging. I will definitely be looking to collaborate more in 2018. One of my favourite posts each week is the Living Arrows post, a place to capture a moment in childhood and I love that at the end of each year I have 52 photos of both girls. I’m not sure why this particular one, Living Arrows 19/52, was popular, but I’m pleased that one of the Living Arrows posts made the top ten. In 2017 I started my A Day In The Life Of series, where I shared with you each week a day in the life of another blogger. All of our days are different and it’s nice (and nosey) to see what other people do each day. I kicked off the series by sharing my typical day, A Day In The Life of…Dear Bear and Beany, and it’s lovely that so many people wanted to see what we get to each day. I’ve finished the series now, but I loved running it and was so pleased that I had someone take part every week in 2017. At the start of 2017 I shared a post about living with post natal depression and not telling anyone about it. I felt that I needed to explain why I didn’t talk about post natal depression, as I think that its really important that we as a society do talk more about mental health. Yet for a long time I wasn’t able to and to some extent I still don’t really. The main reason I didn’t talk about it, was that for 18 months I didn’t realise that is what I had, but even once I knew I struggled to come out and share it. I will let you into a little secret. I wrote this post, Living With Post Natal Depression Behind Closed Doors, and meant to save it to my drafts, not quite sure if I was ready to share it yet. But I accidentally scheduled it and it wasn’t until the morning when I suddenly got all these messages and notifications that I realised what I had done. Looking back now it was probably the best mistake I’ve made! I received lots of lovely messages of love and support from people that I knew and people that I’ve never met and will never meet. It seems that I’m not alone in dealing with things myself and not sharing with everyone in my life (which is a bit strange for a blogger!). But I’ve never been a ‘look at me’ type of person, I just quietly get on my with my life. But I don’t think that it necessary is a good thing to keep it to yourself, as you need help and support to help you through the dark days. I encourage anyone to speak out. I Broke Down And Cried, this was one of those posts where I came home from school and preschool drop off and just wrote it. The words pouring onto the screen and the tears flowing down my cheeks. It was a post that it appears a lot of people could relate to and the response I got made me feel less of a failure and more normal. And I hope that my post did the same to others too. A post that I wrote back in April 2016, I Will Never Know A Son’t Love, and it was my most viewed most in 2016. I’m surprised to see that it is still my most viewed post, but it’s also a comfort to know that I’m not alone in my thoughts. It is still something that I think about and when I see a mum with their son, a pang hits me. I adore my girls and having 2 sisters is what I always wished for. That’s it! 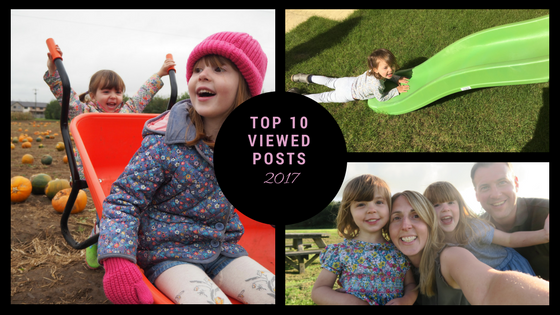 My top ten viewed posts from 2017, a mixture of posts and I’m pleased to see so many emotional ramblings ones are in there. Let’s see where 2018 takes us and what I will be sharing with you all. Happy New Year! I think it is so interesting seeing what posts go down the best with people. I find that my personal posts or posts discussing a subject I’m passionate about always do best on my blog too. I think it is those posts that connect with people better. I loved seeing what my top 10 posts were. I love that your day in the life introduction was so popular. I’m kicking off a family cooking guest post series today. I hope mine is as popular. Love the sound of your collaborative days out post. I’m off to read this now. Some really heartfelt and deep posts here. I don’t think mine would be – mine are my random craft based ones that somehow took off on Pinterest. I don’t think I do deep!